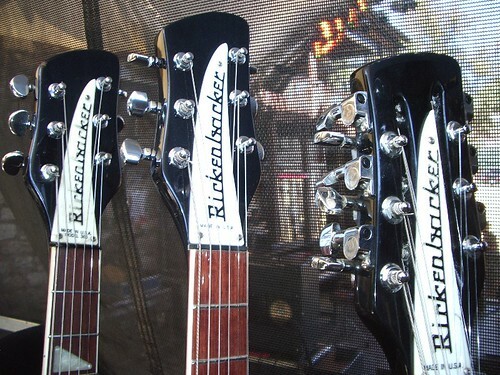 Rickresource Rickenbacker Forum • View topic - What about Peter Buck? Re: What about Peter Buck? I know the band and Peter had his 360/12 before Reckoning. It was at the house on Barber St. where Bill and Mike lived and where the band practiced. I remember watching Bill write songs on it late at night when we were drinking beer and throwing darts in the kitchen. I think at the time, he only had the two Ricks. Mike had his main 4001, modified with a third Bartolini pickup/bridge combo, and he must have had a back-up of some kind. Peter played through a Fender Twin with JBL 12's. Sometimes he used a chorus pedal. Bill played Rogers drums with a Tama snare. I think Mike played through a Fender Dual Showman rig for his bass. Welcome to the forums, Brian! 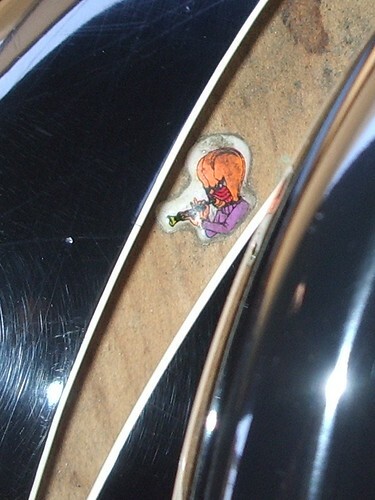 Interesting info, didn't Peter also have a Fender or two next to this Rick(s) at the time? Thanks for the inside word on Peter Buck's gear. I'd love to hear any more insights you might have. I think you've corroborated my main assertion that Peter used his 360/12 liberally on "Fables of the Reconstruction." I'm wondering if it's possible that he used it on a track or two on "Reckoning." After all, Peter said in an interview that he "got a great 12-string sound from my Rickenbacker on the chorus to '7 Chinese Bros.'" I don't know whether this contradicts what Mitch Easter has said. Anyway, it's a great pleasure to have another person on the forum who can share inside information from the early R.E.M. recording sessions. Bucksstudent wrote: Of course, years later, the same guitar would be stolen and returned (Which makes no sense to me, because Peter usually only plays copies of his original on the road). Incorrect, actually. It was the original that was stolen in Helsinki in 2008. With R.E.M. he plays the original but with Robyn Hitchcock etc I have seen him use the backup. The SCR video shows Peter playing a Guild Starfire, not a Gretsch. Not sure he was ever seen using a Grestch live before 1995, and don't think he ever used a Guild live. He was seen using both a natural Tele Custom 72 and a 52-style natural tele around 1980-1981. The black Tele Custom 72 appeared in 83-84 sometime, disappeared after 85 and only reappeared in 2008. 1985 also saw him playing a Mapleglo 340 and a Tele Thinline on stage. He bought the Gib (I know there are rules here about other Manufactures) around the time Document was being recorded, and first used it for the solo on The One I Love. This guitar was used extensively on Green, and the proceeding tour. The next time it was brought out was on Monster, and has been seen with Peter on a regular basis ever since. However being abandoned in mid-2005 and not appearing at all in 2008. Thanks again for all the inside info. Do you have any recollection of your Fender XII being strung in any unorthodox way? A unison string on the G-pair perhaps? For years, I've tried to play "Pretty Persuasion" on a conventionally-strung 12, and it just doesn't sound right. Well, I don't think there is any 12 string on Pretty Persuasion until the "pre-chorus" minor chord section- those long strums... then it doubles the stuff in the chorus. But isn't the riff all 6-string? So there wouldn't be the high G string anyway. I'm just remembering this, maybe I'm wrong, I haven't heard this track in a while! I'm sure we never put two regular Gs on the 12 string. We did do the "Nashville" high-G thing on the acoustics quite a bit, this is easy to hear on strummy things. My ear always told me that all of the studio version of "Pretty Persuasion" was done on a 12, possibly double-tracked. I know that Peter used to play it on one of his Teles at shows. It's not that odd for 12-string players to put a unison string in place of the octave on the G-pair. I've played used Ricks strung that way, and once my tech inadvertently replaced my octave with a unison; the sound was totally different. Of course I trust your memories of the "Reckoning" sessions better than I trust my ear. It's a real pleasure and a real honor to have THE Mitch Easter on the RRF. Is this a great site, or what? Having Mitch or John Hall or someone similarly authoritative weigh into these discussions reminds me of the scene in Annie Hall where Woody Allen pulls Marshall McLuhan out to settle his argument with the guy in the movie line. I echo Robert's comments about how much we appreciate your taking the time to share your knowledge with us, Mitch. For what it's worth, I just gave Pretty Persuasion another listen and it sounds to my not-very-discerning ears like there is a second guitar lower in the mix during the intro riff. I thought it might be a 12-string but am not confident of this (and wouldn't hazard a guess about whether it is a Rickenbacker or a Fender XII). Of course, Mitch's memory is probably far more reliable than my speculation. Looks like a 330, 360/12, 620/12, and two 360/6 models. Note the brass bridge and nut on the 330. Anybody curious about his actual amp settings? 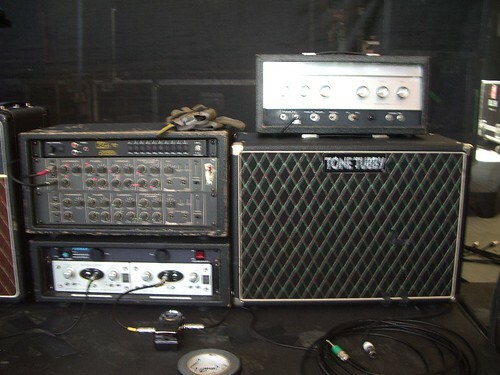 Besides the AC30, he also had an old Silvertone head, which he played through an open-back Tone Tubby 2x12 with that look like their version of Alnico Blues. They were alnico magnets, anyway. The bridge and pickups on his guitars appear to be custom. Any idea what kind of bridge that is what kind of pickups? 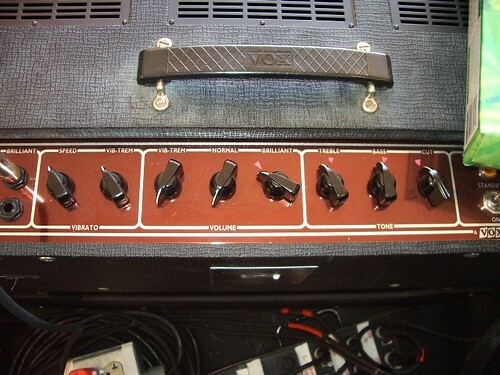 VA Pilot wrote: The bridge and pickups on his guitars appear to be custom. Any idea what kind of bridge that is what kind of pickups? Pickups are stock Hi-Gains. The bridges are brass, and I can’t remember who makes them, but they resemble the “Stars” (“Starz?”) aftermarket stuff from back in the day. As most folks know, Peter’s Ricks have a .013 gauge set on the six strings, and play like acoustic guitars with small necks! What those two rackmounted units above the pair of U5s? jps wrote: What those two rackmounted units above the pair of U5s? Ibanez UE400 analog multi-effects. I have one (and its partner, the UE405, which I like better), they’re fab! Cool. They look like they're, what, 1980s era?